AB Volvo is buying 45 percent of Dongfeng Commercial Vehicles (DFCV), but Volvo Bus General Manager David Mead says it’s too early to tell how the purchase will affect Volvo’s bus business. 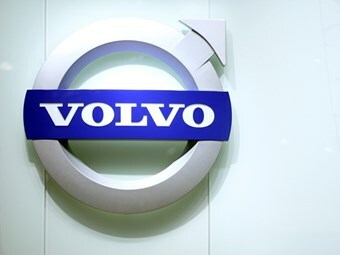 Volvo Group Global late last month announced Volvo had signed an agreement with Chinese vehicle manufacturer Dongfeng Motor Company (DFG) to acquire a large stake in its commercial vehicle subsidiary. The purchase consideration is valued at more than AUD $7 billion (CNY 5.6 billion) and Volvo expects the transaction to be completed in less than 12 months. The purchase includes a major part of DFG’s medium- and heavy-duty commercial vehicle business, making Volvo the world’s largest manufacturer of heavy-duty trucks. But Mead says it’s unknown how the purchase will affect Volvo’s bus business. "In terms of what the purchase means for bus – it is extremely early in the process," Mead says. "It will be a little while before anything notable happens." The purchase is, however, expected to have some consequences for Gold Coast-based Brahman Motor Company, developer of Brahman buses. Brahman buses are manufactured in China by DFG and imported to Australia by Brahman Motor Company’s national distributor Brahman Motor Distributors. Braham Motor Distributors Executive Chairman Hans Hobelt believes the Brahman brand will benefit from Volvo’s stake in DFCV. "I know that there has been a certain amount of money allocated for upgrades of the factory where we build our buses," Hobelt says. "Volvo has made a significant investment in the company and some of that money has been allocated to upgrade some of the production lines, and to put up new buildings and extend the operation. So there will be a benefit for us no doubt." Completion of Volvo’s transaction is subject to conditions, including the approval of relevant anti-trust agencies and Chinese authorities. The transaction with DFG follows the recent agreement between DFG and Nissan Motors, in which DFG purchased the medium- and heavy-duty commercial vehicle operation from the joint venture DFL, owned jointly by DFG and Nissan Motors. The major part of the re-purchased commercial vehicle operation will be included in the new company, Dongfeng Commercial Vehicles (DFCV). "We are pursuing a clear strategy to achieve our vision of becoming the world leader in sustainable transport solutions," Volvo President and CEO Olof Persson says. "With this agreement in place, we take a crucial step toward reaching a number of our key strategic objectives such as size and growth in Asia."